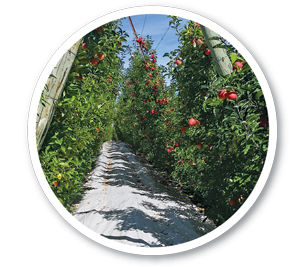 SLVRLining can signiﬁcantly lift orchard proﬁtability. 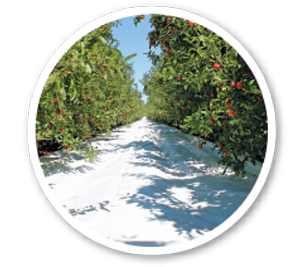 ColorIt reflective cloth significantly increases fruit color coverage. 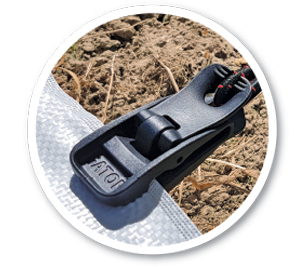 GatorClip is an incredibly easy-to-use fastening system. 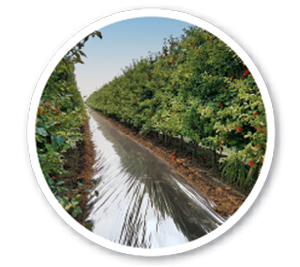 EasyColor reﬂective foil is a very cost eﬀective option for crop finishing just prior to harvest. 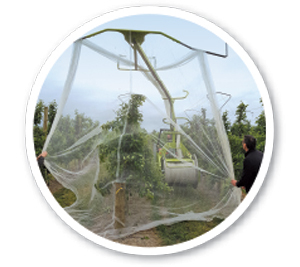 CoverNet is a simple, low-cost system for ensuring your crop is protected from both hail damage and sunburn. 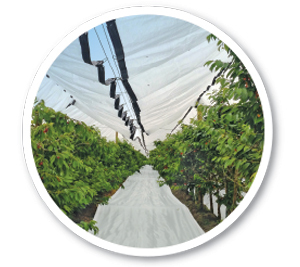 ProTect rain covers are an effective method of protecting your cherry crop from rain.